A couple weeks ago my hubby excitedly walked through the door and told me about a new thrift store just 10 minutes from our house. Yes, hubby likes scouring the thrift stores just as much as I do and he was anxious for me to see it. It’s a huge store and I found a special treasure which became my inspiration for creating a spring dining room in blue in white. This blue and white damask style fabric caught my eye where all the textiles were hanging. I pulled the tablecloth out and was happy to see how big it was … and no holes or stains! 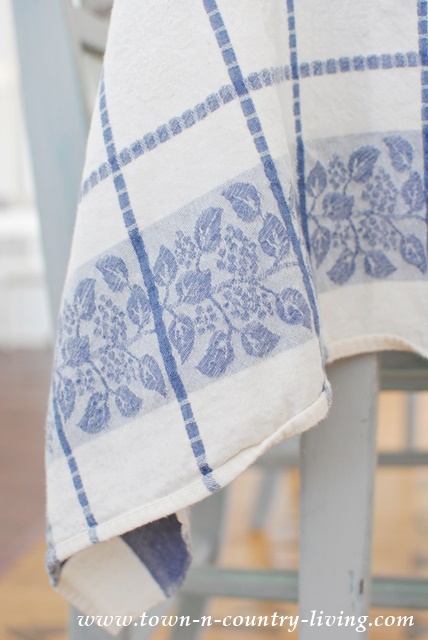 I love the little fruit and vine pattern and the feel of this fabric is like a soft tea towel. It’s printed on both sides which makes me think it’s damask, but I’m not sure of it’s age. For just $3, I had to bring it home with me. 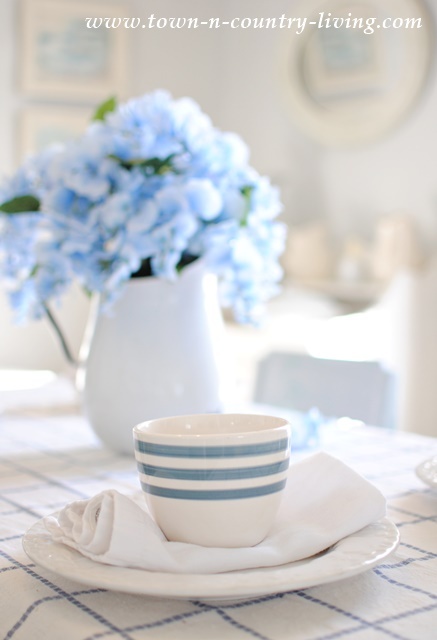 I’ve always loved a classic blue and white color scheme. 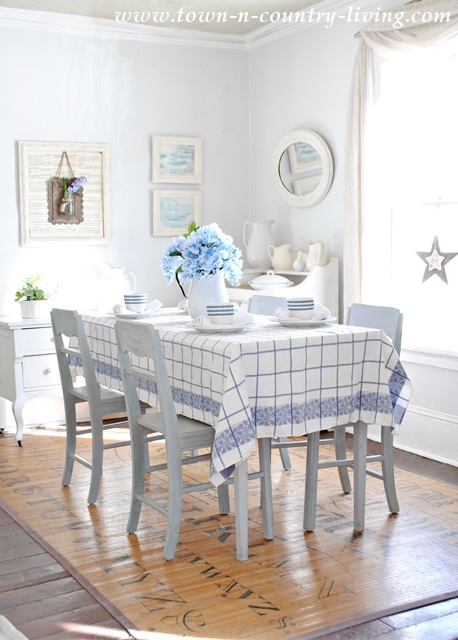 Blue and white looks so fresh and gives my farmhouse dining room a cottage vibe. Even though there’s snow on the ground outside, it feels springtime fresh inside with the sun streaming in through all the windows. We could have warmer breezes in just a month and a half. I’m keeping my fingers crossed! My blue and white mismatched dishes go perfectly with my $3 thrift store tablecloth. 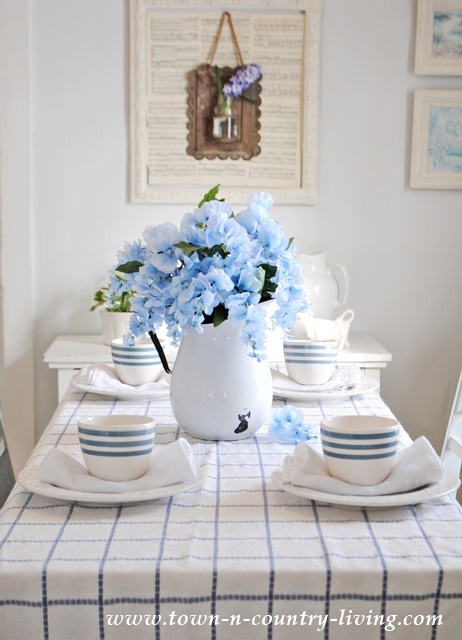 It might be cold outside, but inside I can enjoy my spring dining room in blue and white. 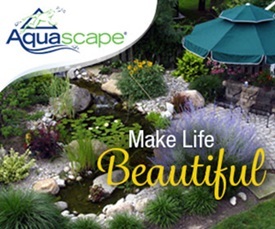 What colors do you use to freshen your house for spring? Don’t Forget! 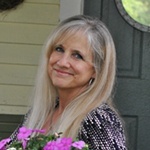 Today is the last day to enter the Hugs and Hearts $550 cash giveaway! 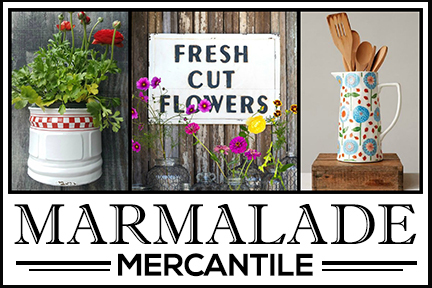 You can also enter the $350 store credit giveaway to Polder’s Old World Market. Woke up to -7 degrees this morning in the East….seeing such beautiful spring time inspiration on your blog GAVE HOPE to our very COLD days. Yes SPRING will arrive. THANK YOU! I live not too far from you. Where is this new shop? We have several thrift stores in our area, so hubby and I go weekly on our day off. Wow, what a nice find, Jennifer. Your table looks lovely! I like to decorate with green for spring. Oh Jennifer, what a beautiful table. Blue and white always looks so fresh as you say. What a delight to find a tablecloth in such lovely condition. 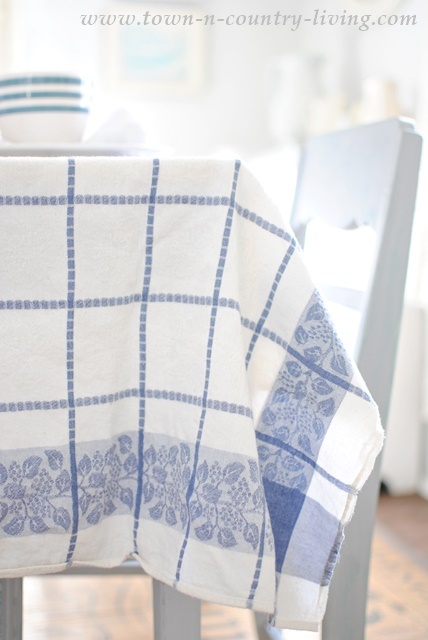 My grandmother always loved blue and white and so do I. I was blessed to receive some vintage tablecloths from my mother-in-law. Quite a few of them have napkins to match. I have them all washed and I am looking forward to using on my table in the coming days. I don’t have a blue and white one I will have to keep my eyes open for one. What a great score and what a bargain. Yay to no holes or stains. It’s perfect! I have that very tablecloth with matching napkins. I believe I purchased it from Williams Sonoma – years ago – probably 15! Hi Jancie! Thanks so much for letting me know where you got it!! That room is gorgeous! 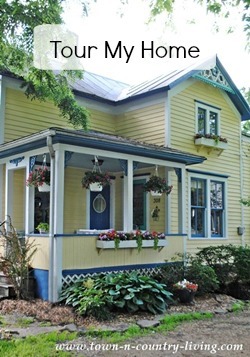 I use pink for spring since my walls are a buttery yellow and I have blue accents already. Yesterday the grocery store had pink tulips for a reasonable price so I splurged and bout two bunches of them. Love me some tulips! That is definitely a vintage tablecloth. Unfortunately, they don’t make them like that anymore. What a terrific find and it looks so pretty on your table! 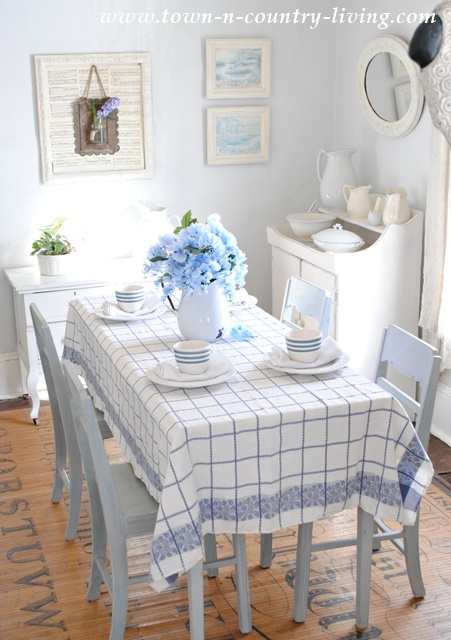 Lovely tablecloth and it looks so pretty on your table. 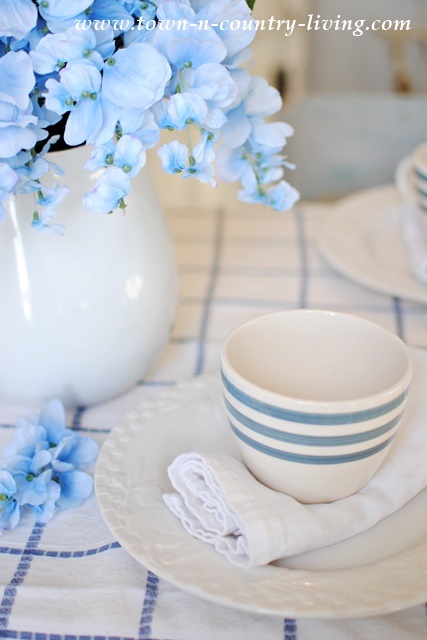 Love blue and white……..and I would have scooped up that tablecloth in a minute!!! Great find…..
That is one great find! Everything looks so pretty. I am looking forward to my trip home to NY next week. My favorite Goodwill is there. It’s where I always found the best pickin’s…I can’t wait!!! Loved the table cloth. Gathered and put away Valentine décor yesterday after church. This time of year is a difficult decorating time for me. Not really into St. Pat, although I did throw out a few shamrocks I had cut from paint strips last winter. At any rate, just not ready for Spring birds, etc. Does anyone else have a difficult time this time of year? Love this room so much! You decorate so beautifully. 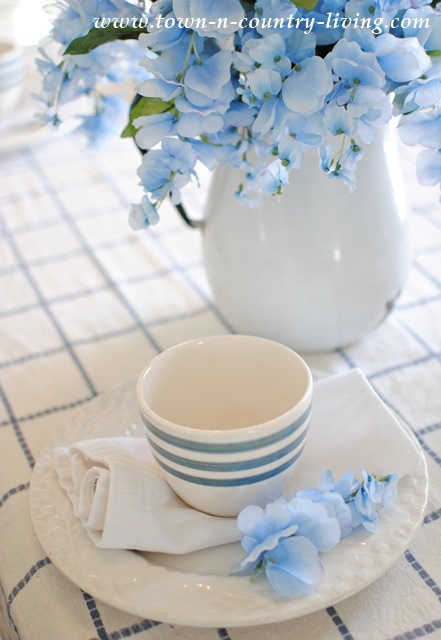 I am in love with that tablecloth – classic blue and white! I was reading your post on my way to work. It is 18 degrees today and the roads are bleached white with the winter chemicals, yet I am all smiles. Thanks for the breath of spring! What a beautiful room, and such a lovely story! May I ask where the floor mat/rug comes from? Thanks & kudos on a wonderful job! The room is beautiful…peaceful but I must say that I came to a screeching halt when I saw the floor mat. Where did you get that? I must have one!! It is perfect…exactly what I have been looking for. I’m tired of the florals or the Moroccan thing and just have been looking for something that is unique and simple. Please tell me where you found it.